A Chinese martial arts master has died, the students make preparations for his funeral in anticipation of those people seeking to pay their respects. During a moment of silence following a speech by one senior member of the Chinese school, a group of Japanese martial artists make their entrance and arrogantly offered their “respects” to the grieving school by means of a framed sign that reads Dongya Bingfu (東亞病夫) o Sick Men of East Asia. The Japanese explain that the meaning of such sign is a warning to the weak Chinese race not to oppose the strong Japanese nation. 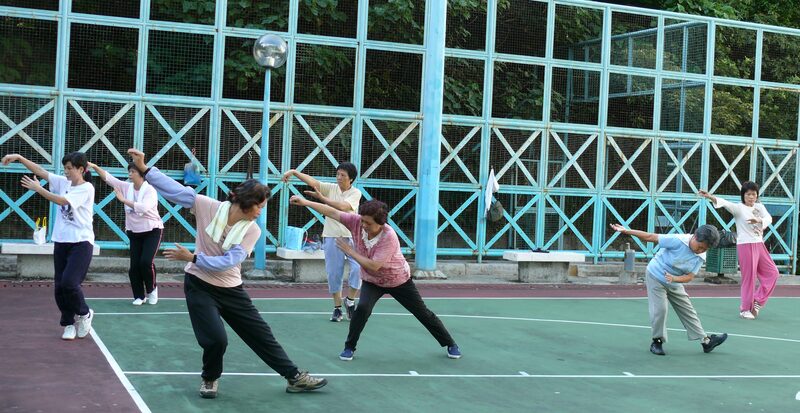 The school in question is the Sports Association of the Martial Essence (Jinwu Tiyu Hui, 精武體育會) and the scene is from the movie The Chinese Connection also known as Fists of Fury starring Bruce Lee; the film was released in Asia as Jinwu Men (精武門) or The Martial Essence’s Gate in 1972. 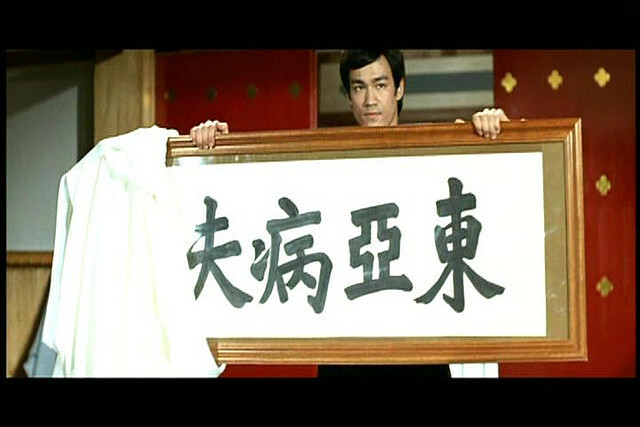 The challenge to the Chinese nation’s pride is in a later scene avenged by Bruce Lee’s character named Chen Zhen, who returns the offending sign to the Japanese school before proceeding to literally wipe the floor with every Japanese student and their sensei in a wonderful display of fierce martial skill. Where and when this phrase was coined it is not clear, yet we will attempt to explore its ramifications and how the Chinese people attempted to shake such notion during the early XXth Century. 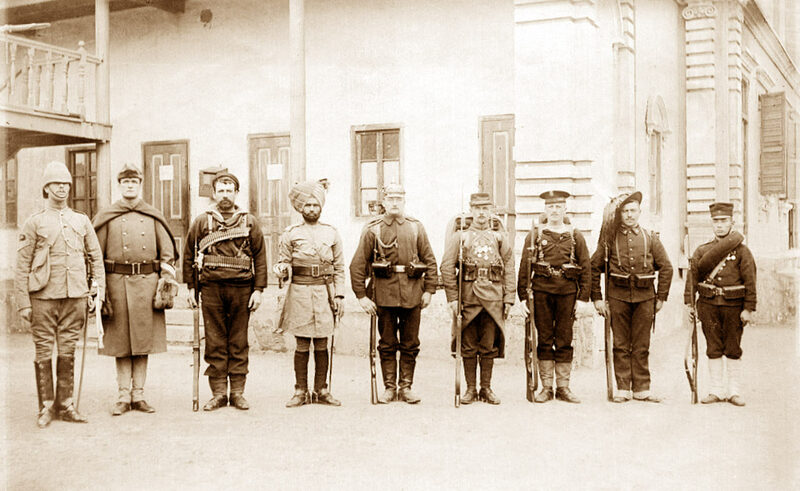 The defeats suffered by China in the Opium wars (1839-1842 and 1856-1860), the Taiping rebellion (1850–1864), the first Sino-Japanese war (1894–1895) and the Boxer rebellion (1898–1901), as well as the concessions made to the Alliance of eight Nations served to consolidate the image of the Chinese people as a nation incapable to defend its citizens and territorial integrity. This situation was a very heavy blow to a nation that centuries earlier considered itself the epicenter of culture and technology in Asia. To counter this weakness China begun to modernize her arms forces at the end of the Qing dynasty, in a period known as Self Strengthening Movement (Yangwu Yundong, 1861-1895), although not with the same success as Japan (Acevedo & Cheung, 2014). The Japanese had gone through their own modernization efforts during the Meiji Restoration (1868–1912) achieving great success and the admiration of not only the western powers but also other Asian nations including the Chinese. The Japanese victory during the Russo Japanese war (1904 – 1905) helped to cement the Japanese position on a global scale as a powerful nation. It is not surprising the Chinese government’s interest in learning about its neighbor’s success and for this reason several students were sent to Japan to study in the hopes to bring back that much needed knowledge. It is important to mentioned that China also send students to North America, Europe and Russia in order to learn about subjects as varied as political thought, police and military tactics etc. Unfortunately China had a lot to catch up to Japan and given the aggressive Japanese expansionism in Asia, China was never able to replicate its foe’s achievements prior to the break out of the Second Sino-Japanese War (1937 – 1945). From the above paragraphs we can see that the Chinese were well aware of how the world saw their nation and recognized the need to change it. The basic principle in such articles is that by building up people’s bodies this would inspired a will to resist and protect the mother land, a thesis explained by Mao Zedong when he said “The principal aim of physical education is military heroism“ (Mao, 2014). The Chinese clash against Japan was also seen as a struggle in a spiritual and philosophical realm between Bushido and the Chinese concept of “Spirit of Benevolent Righteousness”, the latter was considered by the Chinese to be at a higher level (Rovere & Chow, 1992). Despite the interest in learning from others, there was an understanding to do so while preserving their national identity by promoting and enhancing native skills through the use of modern scientific methods. The introduction of National Arts: Zhejiang Province Monthly Magazine (Guoshu: Zhe Jiang Sheng Guoshu Guan Yue Kan), published in 1929, recognizes the faults of traditional methods which hindered the spread of the Chinese martial arts and as a consequence the weakening of the Chinese people. The notion of sick men of East Asia was also felt in Spanish speaking countries to the point of preventing the ingress of Chinese immigrants to those countries and perhaps one of the reasons for the late arrival of Chinese martial arts to Latin America. 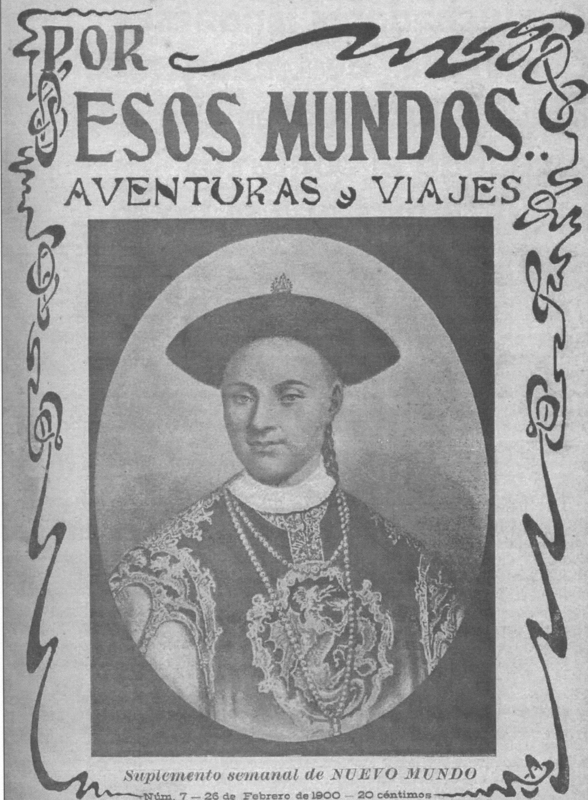 One of the earlier written materials published in Spain appeared in 1899 under the name Alrededor del Mundo (Around the World); in it an article dealing with Asian martial arts titled “El Nuevo Arte de Defenderse” (The New Art of Self Defense) presented a “new” fighting system created by Mr. Barton Wright acknowledging the influence of Japanese methods and referring to them in the following terms: “It is well known that Japan has the world’s most notable fighters and their feats are wonderful“ (Garcia, Gutierrez, Acevedo, & Cheung, 2010). In 1907 Ju Jutsu made its first appearance in Spain through several articles published in Alrededor del Mundo, Nuevo Mundo (New World), Por Esos Mundos (Through Those Worlds) and Gran Vida (Great Life); all of which marveled about the Japanese fighting systems (Garcia, Gutierrez, Acevedo, & Cheung, 2010). Chinese martial arts on the other hand had very little coverage in such venues, the few narratives were not as enthusiastic as was the case with the Japanese. Alrededor de Mundo describes Chinese martial arts as “The Chinese fighters are almost as famous as the Japanese, the former have some tricks and strikes they use to KO or kill an opponent“. In Por Esos Mundos tells “The Japanese fighters have more skill and art than the Chinese in the same exercises“ (Garcia, Gutierrez, Acevedo, & Cheung, 2010). Even though not explicitly using the qualifier of sick men, early Spanish publications were already aware of the Chinese weakness in stark contrast to the might of its Japanese counterpart. This attitude also found a receptive audience in Latin America in the eugenic discourse of the late XIXth and early XXth Centuries. The notion of race and its effects over the strengthening of a nation was a strongly debated topic in different Latin American countries looking to understand the reasons for the many challenges these young nations, freed from Spain’s control, were facing. Looking at countries in the southern hemisphere, Peruvian intellectuals criticized the prejudice of white landowners towards First Nations while at the same time deprecating against those with Asian heritage; as an example Manuel González Prada (1844-1918) indigenous defender declared himself against Asian immigration plans to work in Peru’s coastal agricultural sector, arguing this would deprive the First Nations of a civilizing opportunity. Dora Mayer, a German born immigrant who worked as a journalist in Peru during the early XXth century, would describe Asians as inferior and damaging to the nation; even though in other writings she would have kind words towards the common Chinese man in such terms as “loving and kind toward his wife and children“. Despite the Porras-Wu agreement of 1909 which abolished the mass immigration of Chinese citizens to Peru, the Japanese population growth in Peru continued to increase between 1910 – 1920 despite harsh critics by nationalists. The imperialistic attitude of the United States in Latin America created an aversion in some intellectual circles towards North Americans shifting the above mentioned perception of Peruvian’s with Asian ancestry, specially the Japanese, aiming to create an alliance with the indigenous population in support of the nation (Moore, 2014). A similar approach took place in Colombia as early as 1871 with a law to protect new European immigrants while emphatically excluding “Asian and Malayan” races. By 1880 a new discourse discouraging immigration took place out of fear that the young Colombian nation could be dominated by the new arrivals, despite this the brunt of the discrimination was aimed towards the Chinese. After the loss of Panama in 1903 at the hands of the United States, this event also created aversion towards the citizens of that country and triggered a soul searching movement to find the reasons of such defeat as well as ways to strengthen the nation. In 1908 Colombia signed a Friendship Treaty with the Empire of Japan to secure commerce and naval routes between the two countries. Between 1920 – 1930 the Colombian department of Foreign Affairs once again brought forth earlier discussions on what type of immigrants were more convenient for the country, discussions that saw Asians as those with the less advantages (Smitmans, Hernandez, & Irgui, 2010). Other countries in Latin America had policies in place based on their individual circumstances, countries in the lower portion of South America e.g. Chile, Argentina allowed mainly German and Italian immigration to take place. The Japanese were the first Asian group that was allowed in Argentina as early as 1886 (Inmigración japonesa en Argentina, 2014), while the Chinese only did in the mid XXth Century (Inmigración china en Argentina, 2014). The brief examples given above showed that the appellative of the Sick Men was either used explicitly or implicitly when referring to Chinese citizens both in China itself as well as in Spanish speaking countries. Governments in the latter determined that allowing Asian immigration specially from China was detrimental to their interests, while allowing with less obstacles that of the Japanese who were considered as superior. These discriminatory policies hindered the arrival and appreciation of Chinese culture and martial arts for many years. Self strenghtening and nationalistic movements arose in China to change national and international perceptions of weakness. The Guo Shu (National Arts) project was one of such enterprises, which unfortunatley was scrapped from national attention after the communist take over of the mainland. Nowadays that China is an economic, military and cultural power house; the very same countries that once shunned away all things Chinese are doing their best to win the Chinese people’s attention and the purchase power of their Yuan (¥). Acevedo, W., & Cheung, M. (2014). Republican Period Guoshu Periodicals. Classical Fighting Arts, 56-68. Garcia, C. G., Gutierrez, M. P., Acevedo, W., & Cheung, M. (2010). Los luchadores japoneses tienen mas destreza y arte que los luchadores chinos, o cuando el contexto importa mas que el texto. Revista de Artes Marciales Asiaticas, 42-52. Guazo, L. L. (2005). Eugenesia y racismo en Mexico. Mexico: Universidad Nacional Autonoma de Mexico. Moore, S. C. (2014). Indigenismo peruano, la raza, y los peruanos asiáticos, 1900-1930. A Contra Corriente, 195-217. Rovere, D., & Chow, H. H. (1992). Hsing-I Fist and Weapon Instruction by Huang Po-Nien. Calgary: Rovere Consultants International Inc.
Smitmans, M. T., Hernandez, L. C., & Irgui, G. T. (2010). Indagación sobre las causas de la escasa inmigracion en Colombia: Ausencia de politicas publicas o politicas publicas restrictivas? Opera No. 10, 167-183.